Posted by Björn Axéll in SCMDM, Windows Mobile. Policy Enforcement using Active Directory Group Policy (there will be about 130 policies that you can enable just as you do for a Windows desktop). All this looks extremely good, but to be able to manage your device you need an updated version of Windows Mobile that will be released some time in Q1 next year. If your hardware vendor will provide this update for free is still not announced. Another question I haven’t found the answer to is if this will be included in the upcoming SP/version of System Center Configuration Manager. 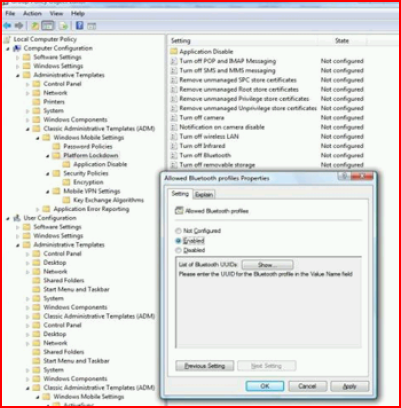 More information about System Center Mobile Device Manager 2008 can be found here.